The adhesive layer provides a strong bond for unmounted rubber stamps. The adhesive layer can be easily preserved by simply rinsing the surface with water and then air drying-stickiness restores over and over again. 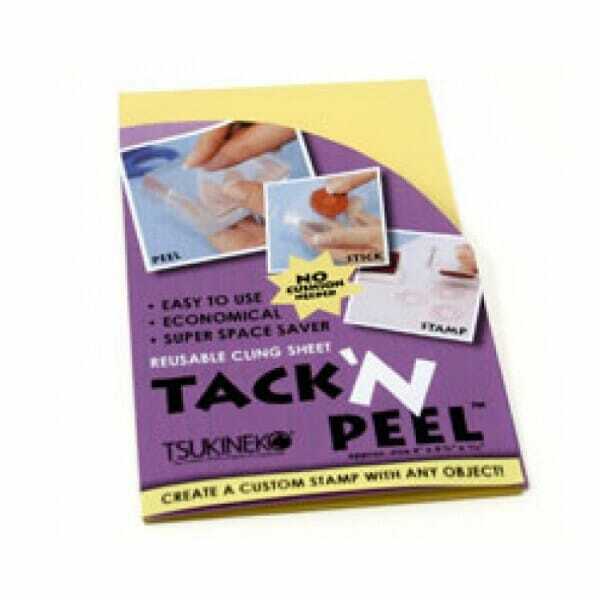 Tack N Peel is a transparent, reusable, clear cling sheet designed for creating a stamping block from rubber stamps or from found objects. Customer evaluation for "Tsukineko - Tack n Peel Reusable Cling Sheet"